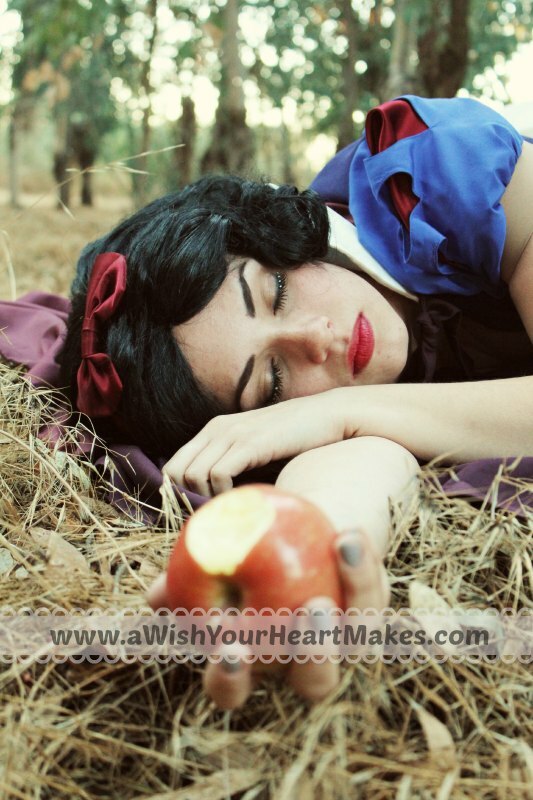 A traditional story from “Grimm’s Fairy Tales” The story of Snow White and her cherished seven little dwarf friends has become a favorite. 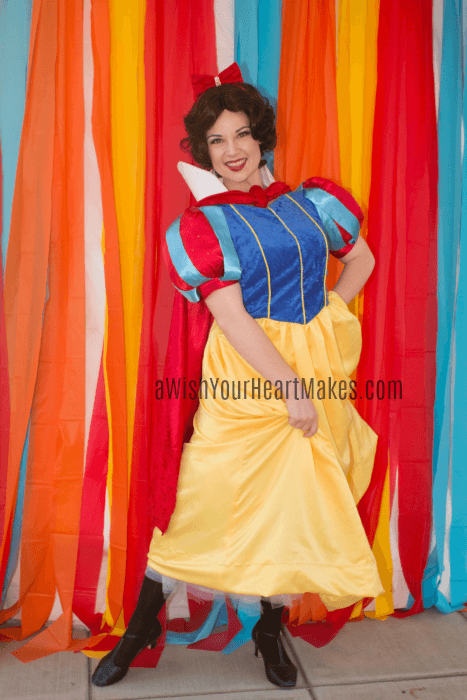 With a “skip” in her step and a song in her heart, our beautiful and gentle Snow White, dressed in a gown of elegant satin and rich velvet, will bring charm and delight to any event! 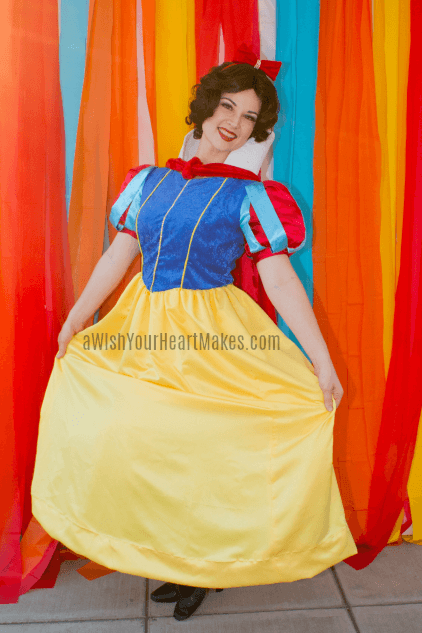 Book SNOW WHITE for your party today! 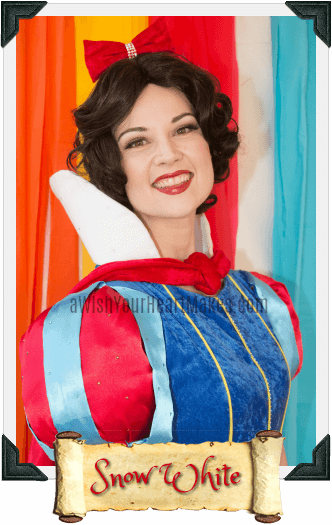 *Refer to Fairytale Party Package page for additional activity choices.